With the massive push to convert to solar home energy, alternative energy companies are offering great incentives to try to get customers to come to them. From deep discounts to solar cost trying to beat out their competition, to new options for converting to green power like solar leasing plans, it’s definitely a buyer’s market. Most consumers aren’t well educated about the state of this popular home improvement today, so it can be easy to be taken in by these great sounding solar offers. How do you avoid being caught by this? 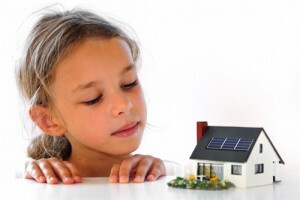 Residential solar systems can be an amazing cost saver to the enterprising home owner, by removing the dependency on grid connect power, the power costs of the average home can be greatly reduced or even eliminated. 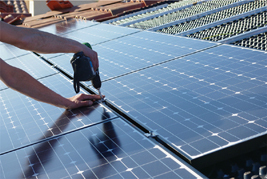 In order to get these benefits, you’re going to want to make sure the solar installation company you’re working with is using only the best equipment, from the panels themselves, to the solar inverters and batteries. Thankfully there are organizations out there to help you separate the chaff from the wheat when it comes to getting solar installation done, and the clean energy council should be one of your first stops. providers of green power, and those looking to invest in systems for their home alike. If you’re going to start shopping for a solar installation company, you can do worse than taking a look at the consumer guide they have made available to the public. Additionally they provide a great selection of educational material to help you understand the new technology you’re looking at investing in. For the discerning shopper, there’s no better resource to start with than this. Many Australian Solar Installation Providers have made the decision to work with only with companies from their native soil. This ensures that the people who are providing the equipment that will help your family break the dependence on grid power, are the same ones who are living and working alongside you. Additionally, you’ll find that many of these companies are able to provide comprehensive warranties on the equipment and craftsmanship at reasonable prices. Avoiding import tariffs and international shipping costs means that you’ll be able to benefit from quality craftsmanship at low prices. The common warranty on a solar panel is about 10 years, with the solar inverters being covered by a 5 year warranty that includes both service and workmanship. With a system that can last nearly 20 years with proper maintenance, you can’t ask for a better security for your new system. These principles will help you take the proper steps to selecting the right provider for your residential solar systems. There is nothing more important when investing in a critical system like solar panels than being an educated consumer, so take the steps to learn all you can before you solar installation. Then take the step to becoming free from your local utility by contacting Solar Panels Melbourne today!